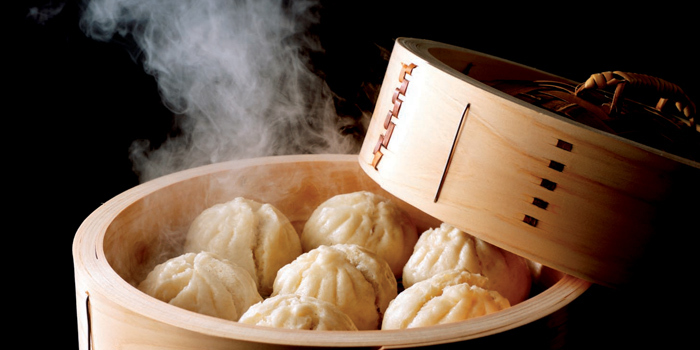 Inspired by the timeless grace and elegance of the Middle Kingdom, Pagoda is an upscale Chinese restaurant serving Cantonese cuisine that manages to stay innovative while embracing age-old cooking techniques. With its atmospheric red lanterns, opulent high ceilings, and touches of chinoiserie in every detail, it is no wonder that Pagoda is a favourite of every discerning Chinese cuisine aficionado in Bangkok. The Barbecued Peking Duck Hong Kong Style in Three Courses comes highly recommended. As its name suggests, this single menu item utilizes the entire duck and is served over three courses. The crispy, crackling skin of the duck and various complementary condiments are wrapped in traditional Chinese pancake skins. Thereafter, the succulent duck legs are served with sweet plum sauce. Finally, the meat of the duck is stir-fried with fresh ginger and spring onions in authentic Cantonese style. Another favourite is the Double-Boiled Fish Maw Soup with Morel Mushroom. The fish maw, a traditional source of collagen, as well as the morel mushrooms, are double-boiled so as to infuse the soup with a potent and invigorating fragrance. The Crispy Roasted Pork is a stand-out dish as well. The pork is seasoned using a secret recipe of herbs and spices, and roasted till its skin is crackling and crunchy, while the meat stays tender and juicy. 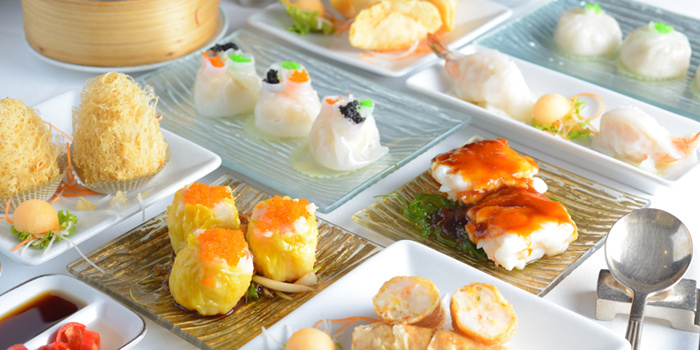 Treat your dad this Father’s Day with a lavish multi-course meal at Pagoda Chinese Restaurant. 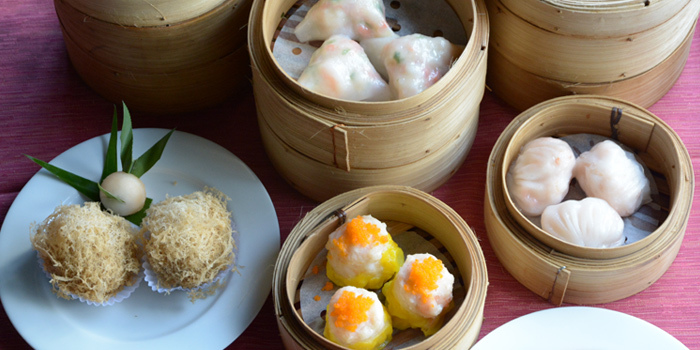 A choice of fantastic healthy feasts is available, combining classical Cantonese dishes with contemporary flair. 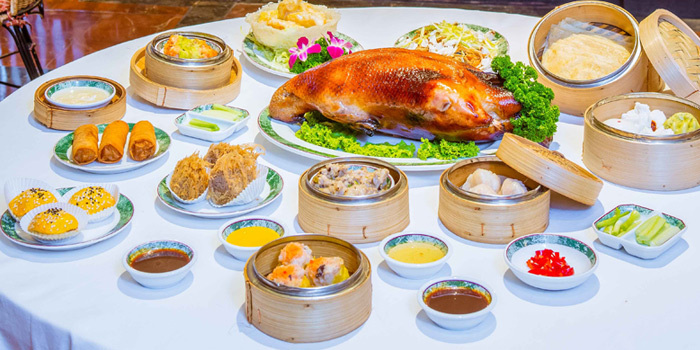 Delectable dishes include double-boiled fish maw soup with morel mushroom, barbecued Peking duck-Hong Kong style, braised superior bird’s nest soup and much more. Operating hour: Lunch 11:30 - 14:30 hrs., Dinner 18:00 - 22:00 hrs. • Guests with food allergies or intolerance please advise the restaurant of their dietary requirements in advance. • Special requests are subject to availability and restaurant discretion, and thus not guaranteed. Changes to reservation times or party size in message box will not be accommodated. • To request a private dining room is subject to availability and not guaranteed. • If you failed to honor your reservation (i.e. late arrival or cancellation with no prior notification), the table or room will be automatically released 15 minutes after the scheduled reservation time without prior notice. • Please advise the ages of all children so that we can make the necessary arrangements. • The restaurant reserves the right to update these Terms & Conditions at any time, with or without prior notice.